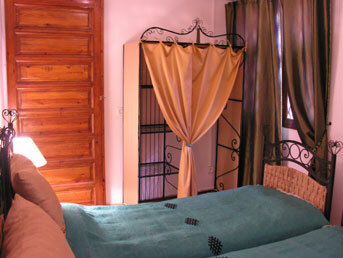 Riad Massin/Riad Casa del Sol ... We`ve booked at Riad Massin from 27th to 29th of december. 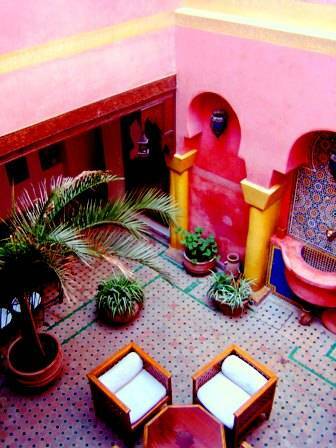 Hassan wrote then an email, that he changed our reservation to casa del sol a new riad in the medina. Located a few minutes away from the famous Jamâe lafnae square and the souks, our fine Riad stands just ten yards away from the historic Bab Doukala gate, and offers direct access to motor vehicles (attended parking available). 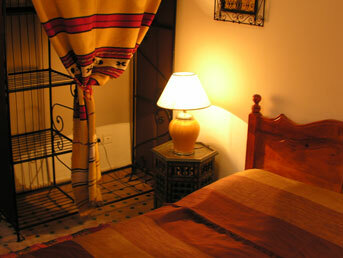 The Riad can accommodate between 2 and 11 guests, and the whole house can be booked by a single group. 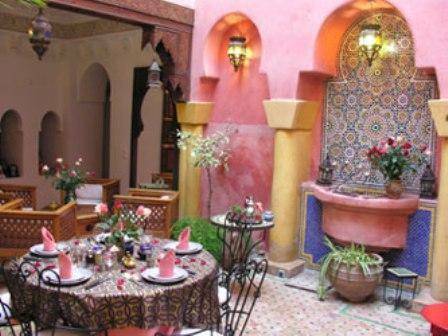 With its inventive and delicate cuisine, this magical Riad is the ideal place to degustate the delicious flavours of Morocco. You can relax in the patio with the fountain sounds or on the terrace, and enjoy the unbeatable quietness of the Red City and the snow-covered Atlas mountains. Riad Massin is well located: it offers you very easy access (parking at 50 m) proximity of the Famous Pacha Glaoui Palace, the main bus station, supermarket and new city at 5 minutes walk. In case of cancellation of your booking 15 days before, we do not charge you anything, between 15 days and 7 days we charge you the first night and below 7 days we charge you the whole amount of your stay, if you pay with a plastic card we charge you 5% more to cover the fees of electronic payment. 15 minutes from the airport in the direction of the Marrakech main bus station; you go through the famous Bab Doukala gate; the Riad is near the primary Marrakech court.